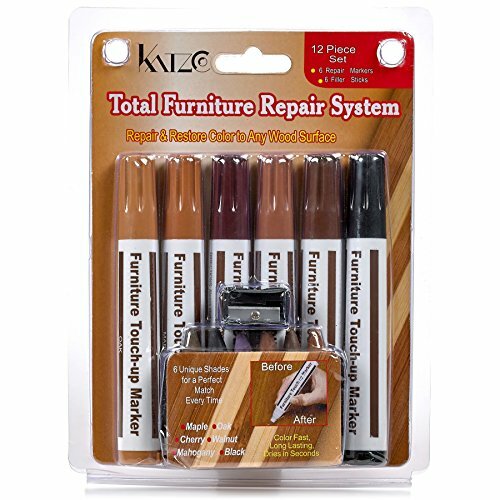 Furniture Repair Markers Kit - Set Of 12 - Markers And Wax Sticks With Sharpener Kit - For Stains, Scratches, Wood Floors, Tables, Desks, Carpenters, Bedposts, Touch Ups, And Cover Ups - By KatzcoNeed to repair the beautiful finished paint of your wooden furniture from scratches and blemishes? 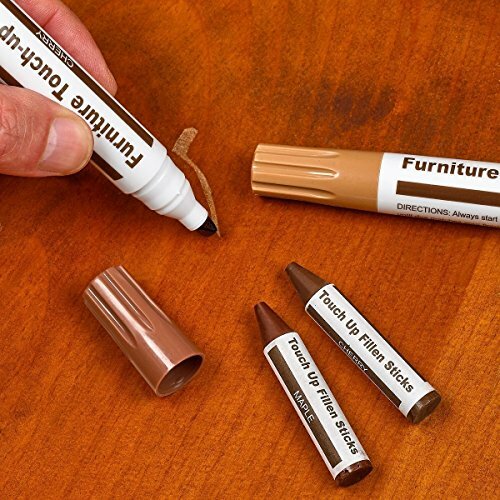 Our Furniture Repair Markers And Wax Sticks Set will do the job! You don’t need to spend money for a professional to do the job while you can for do it yourself like a pro for cheaper! Depending if it is scratches or scuffs both can be handled with this Set. Before you start choose the right color you wish to use. For scratch first use Wax Sticks to fill the gap and wipe off, then use a Marker for a nice finish. And for minor scuffs use just the marker and Voilá. Our easy to use Furniture Repair Set will help you do it yourself and repair your wood furniture fast. 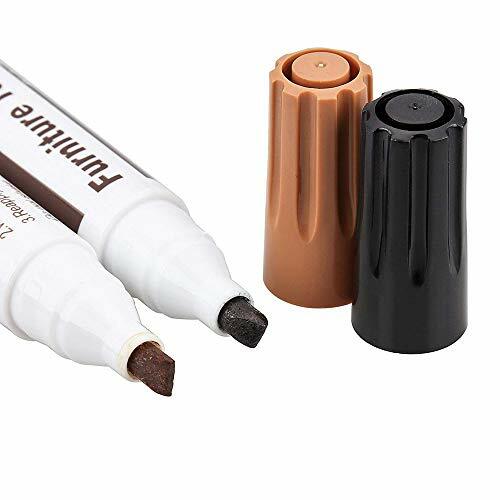 These Touch Up Markers includes most colors of wooden furniture such as Maple, Oak, Cherry, Walnut, Mahogany and Black shades. A perfect must have tool in your house. You can now repair your furniture in a low-cost and convenient way.13 Piece Furniture Repair Markers And Wax Sticks With Sharpener Kit.Includes: 6 Repair Markers, 6 paper wrapped Wax Sticks 1 Sharpener. Nicely packed in blister card. So what do you think, isn’t this awesome?! Get your Furniture Repair Set now!